In my early cattin’ days I struggled like any beginner trying to succeed. Summer, hot weather catfish would sometimes find their way to my hook but the bites were few and the bigger fish substantially fewer. I found myself pursuing the same tired out presentations and locations with nothing to show. 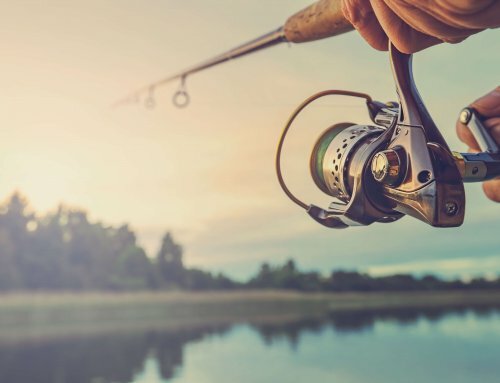 One day I was fishing near the mouth of a stream for smallmouth in the evening when I saw a fishing pattern that would help mold me to the cat angler that I am today. A man was fishing down the bank a ways on a rocky shoal bordered by the deeper main river channel and swifter current. His rod was doubled over and I could see a good-sized fish thrashing on the surface. What he pulled up was a nice channel catfish, nothing huge, but a good one. On the stringer it went and a few moments later he was tied into another cat. I watched as I continued to fish and he managed to catch a total of three decent catfish in my short stint of bass fishing this area. Since that day I have remembered the type of location this man had found success at during hot summer water conditions. A couple ingredients stand out in my mind and those are forage, depth, oxygen and cover. Find three, or better yet, all four of these ingredients in one location and you just found yourself a summer catfish hotspot. Most of us know that catfish, like many other species, are very fond of cover. Cover is where they seek refuge and ambush prey items. 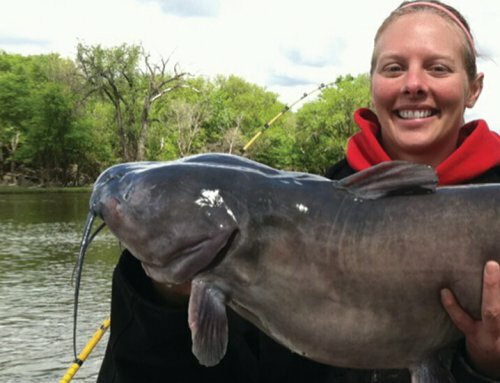 In the late summer months, nothing dictates a catfish’s daily patterns more so. It can be anything from a log pile, deep pool, cut bank or even a rocky shoal. These areas not only provide good hunting and resting spots, they also congregate baitfish and other food items catfish prey upon. When the weather is hot I like to look for three things. A good brush pile or rocky bank with a current break associated to deeper nearby water. Set up upstream of these cover areas and fish as close to them as you can without snagging. 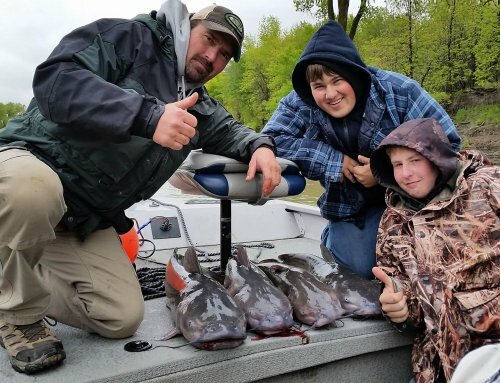 Catfish are still hungry during these times but a little more reluctant to come out and grab a meal for any distance especially during daylight hours. In this case fresh cut bait or live bait will really call out the bigger fish. Nighttime or lowlight periods are the best time to be set up for these types of cover scenarios. Typically low light and darkness is when summer catfish are most active. It is during these times that they leave the seclusion of their hideouts to seek food most often. 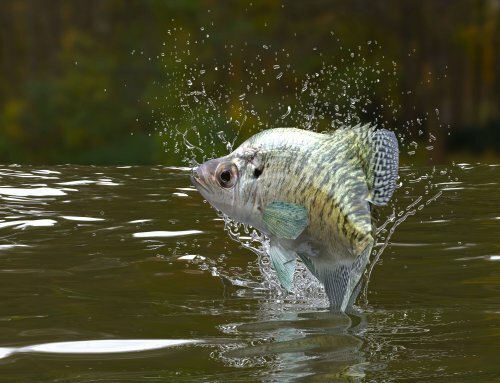 During low water periods, which are ever so common in Iowa late in the summer, find the deepest water available with associated structure and you will find the fish. This ties into the fisherman I saw catching catfish along a rocky shoal with adjacent swift current. The well-oxygenated water created around the rocks and current break had congregated baitfish. The catfish were there to eat. Catfish are pretty hardy when it comes to sagging oxygen levels but many of the prey species they feed upon are not. In this instance it pays to seek out the baitfish to find the cats. The best time of day to target these areas is from evening to a few hours after dark. Even right at daybreak can be successful. Everyone has their favorite bait and some fishermen are downright stubborn about what they use throughout the season. I like to think of myself as an opportunistic bait user and what really dictates catch ratios are what the catfish want to eat. Sometimes its leopard frogs, other times its crawlers or stink bait and the next time it might be fresh cut bait or live bait that shines. During late summer I like to bring a few choices just in case the catfish are being picky. What I have found though, at least on the Des Moines River where I do most of my catfishing, is that fresh cut bait will prove itself against most other baits especially for the big fish. Frogs, crayfish and live chubs or sunfish indeed hold their own but I find these to be less productive during daylight hours. For the cut bait I like to stick to oilier fish such as suckers, shad or even carp. So many of us, myself included, stick to fishing along cover and current breaks associated with the bank. These areas undoubtedly produce fish but many anglers negate the idea of fishing mid-river structure. In relation to this, many of these areas don’t experience much pressure and can hold lots of fish. Key mid-river areas to look for would be a tree that found a grounding spot and has created a slight washout beneath it. Another key spot would be a deeper hole that jumps up to shallower water at the upstream side. Some rivers even have rocky debris or bank revetment that has settled on the river bottom and created a superb cover area for fish. In this case it pays to have a boat with a depth finder but with trees that have settled mid-river all it takes is locating one and maintaining a good anchor hold upstream. Summer catfish fishing may not be as fast and furious as it is during higher spring water levels but the fish are there and can be caught with a little patience and locating a few of the four ingredients I described. 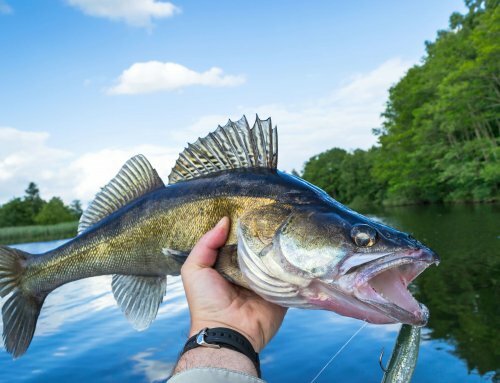 Knowing these tips and not just throwing a bait anywhere in the river can really improve success when the water is warm and the fish are tougher to pin down. Cover, depth, forage and oxygen…I’ll see you on the river!